When Almanzo Wilder and his sister Eliza Jane move to Walnut Grove in the sixth season of this cherished series, life will never be the same for Laura Ingalls. Fully restored and remastered, all 24 uncut episodes shine with quality picture and sound, bringing new excitement to memorable moments like Mary’s stagecoach accident, Albert’s challenging adoption, Nels’ reunion with his circus sideshow sister, Laura and Mary’s captivity by escaped convicts, the fatal fire at the school for the blind, Almanzo’s unrequited marriage proposal to Laura and countless more must-see moments! Here were are with season six out of nine seasons of the iconic light-hearted television series 'Little House on the Prairie'. Since season one, we've seen the Ingalls family overcome some mild obstacles, show their true loyalty and love, and most of all, grow up. 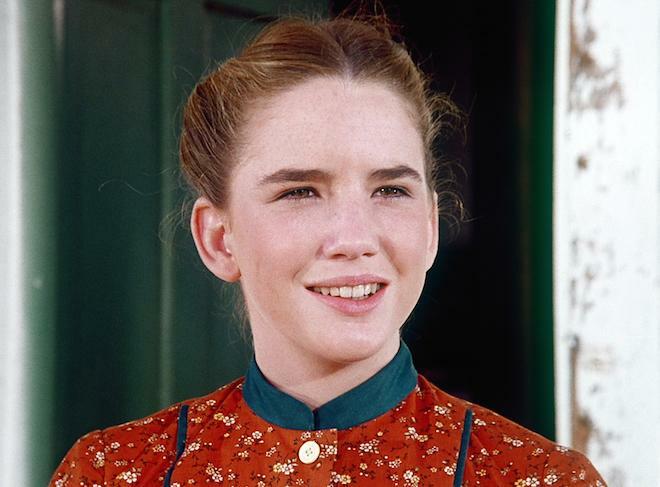 Everyone is six or seven years older here, meaning that the young Ingalls girls are now transforming into young ladies. That brings puberty and boys. This is the main story arc for this sixth season as two new characters are introduced this season. A new teacher Eliza Jane Wilder and her brother Almanzo move to town, and Laura Ingalls takes a keen liking to him. Going by his last name of Wilder, you can probably guess how it will end up, given who wrote these stories. This blossoming relationship is more or less the one driving force that keeps this season going, as each of the other conflicts or lack thereof have been seen in the series before in some form or fashion. It seemed like this sixth season, the writers and producers were struggling to come up with new material to pull our heartstrings out or teach us a valuable life lesson in family, loyalty, love, or ethics. More often than not, it was something we have seen before, giving this season a slower pace than usual. Throughout the season, there are some good moments though, such as when the circus comes to town, or when an old west version of the WWE comes to scout local talent (yes this happened), a halloween party that turns disastrous, a werewolf, and an episode that has one of the Ingalls girls help several blind people from bad guys. I know, it seems like this season was action packed, but trust me, it wasn't. Most of these episodes have a mild conflict that is quickly resolved in its 44 minute run time withhardly any violence or western chase scenes. One of the episodes deals with Walnut Grove getting its first telephone, where another centers around a questionable priest, which is a subject this series likes to cover. There is even a big flashback episode over a Thanksgiving meal. 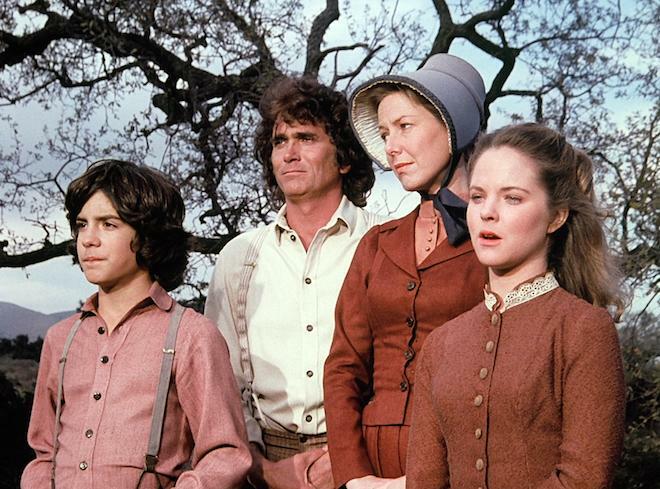 All this being said, 'Little House on the Prairie' still teaches us life's lessons in each episode, and wraps everything neatly with a pretty red bow. Every villainous character has their redeeming qualities in each segment, too, thus never allowing any real conflict or suspenseful momentum to get going. But hey, that's the beauty and formula for this show, and it still works, despite the slow pace and lack of tension. 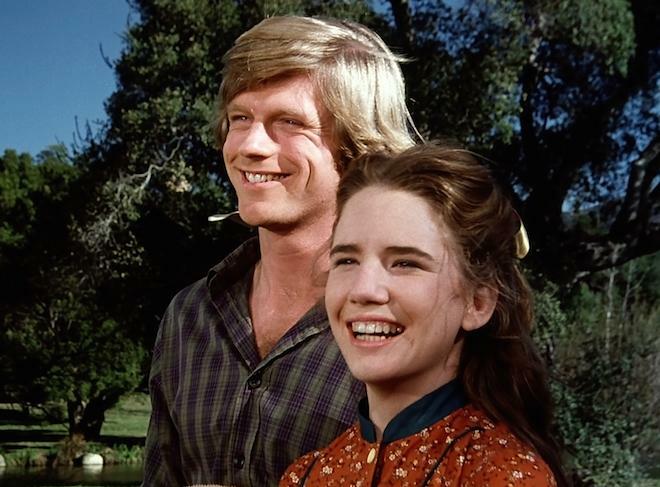 Still, this season's main drive is the young relationship between Laura and Almanzo, which is a delight to see progress through the season. 'Little House on the Prairie' isn't for everyone, but for fans of the series, you'll enjoy this season. 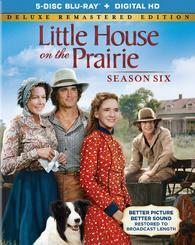 'Little House on the Prairie: Season 6' comes with a decent 1080p HD transfer presented in 1.66:1 aspect ratio. 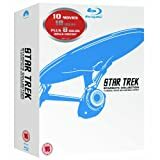 As with the previous seasons, this more than three decades old show looks very good, however it still has some minor issues to discuss. Overall, the image looks great in this new transfer, with detail looking sharp through most of the show. Closeups reveal the greatest amount of detail, as you'll be able to catch individual hairs, beads of sweats, and blades of tall grass. In the wider shots, the image tends to cross over into the soft side, but it isn't terribly noticeable. There is a nice layer of grain, keeping the series with its filmic look, however there is a small amount of fluctuation from time to time here. Colors look mostly good here as well, although there are some muted colors here and there. Black levels look deep and inky, but there was some instances of crush during the night time sequences. Skin tones are natural though throughout. There were some instances with some video noise, along with some minor scratches and debris too. For being a show from the 70s/80s era, this video presentation still looks good, despite its flaws. This release comes with a very good lossless DTS-HD MA 2.0 stereo mix just like the previous seasons. Don't expect any big explosions or buggy chases here. As usual, this is more of a dialogue driven show with horses and people, so your speakers won't get a true workout, nor will the walls rumble with bass. That being said, this light-hearted and quaint audio mix sounds good. The dialogue is always full, crystal clear, and easy to follow, and free of any pops, cracks, hiss, or high shrills. Sound effects of the horses running and nature sounds all sound great, if not on the light side of things. There is some decent directionality as well. The score is at time sweeping, especially during the title sequences. The LFE is good and the dynamic range is wide, considering the series, leaving this presentation with solid marks. The Little House Phenomenon Part Six: The Lasting Legacy (HD, 17 Mins.) - Over the past seasons, there has been a long documentary about the show, that has been split up into segments on each season of the series. This segment centers on how the show has impacted the lives and culture of its fans over the years. This sixth season of 'Little House on the Prairie' isn't the best of the series, although it does show the Ingalls girls growing up quite a bit. There were some good moments throughout, though it is more slow paced than previous seasons, due to the similar themes and conflicts that we've seen many times before. Still, this little gem of a show is worth of watching for those who don't mind watching a family cope with obstacles that don't include guns, zombies, or meth manufacturers. The video and audio presentations here are quite good, and the one extra is worth watching, however I wish there were more. If you're a fan of the show, you'll want to pick this up.